Massive congratulations to Harriet and Deejai who were married in a civil partnership at the beautiful Ye Olde Plough House, Laindon. 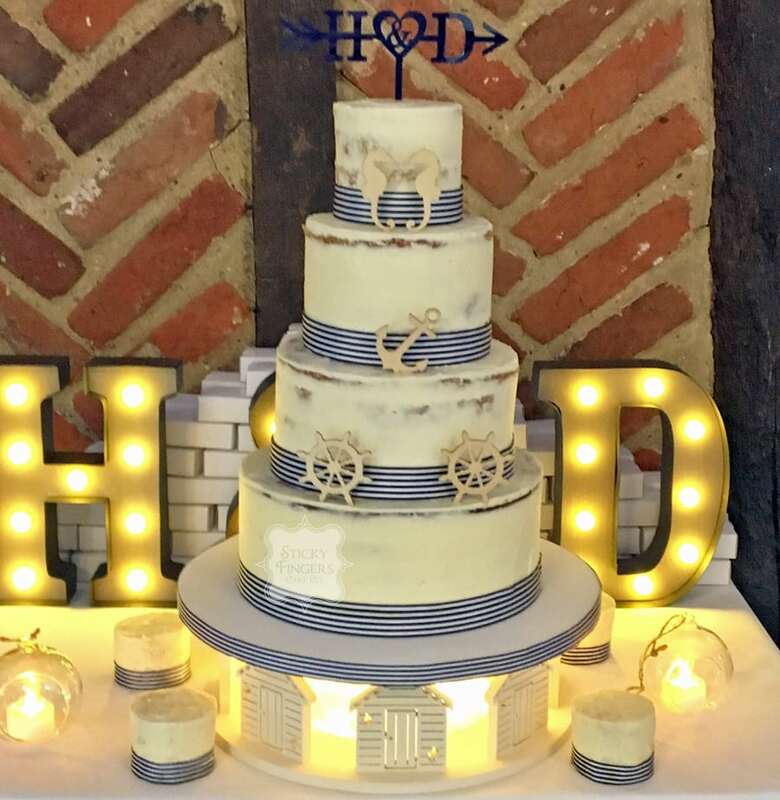 They had a wonderful nautical theme for their big day which was reflected in their semi naked wedding cake. I dressed the cake in navy blue and white satin ribbon and also some really cute wooden toppers, seahorses (their favourites! ), an anchor and ships’ wheels which the girls supplied. They also supplied their own cake stand which fitted in with the theme beautifully. Yummy flavours of Red Velvet, Rum Drizzle and Lemon Limoncello and I also made 5 lemon mini semi naked cakes, decorated in the same ribbon. Hope you had the most amazing day and I wish you a lifetime of happiness!